Midwest Formwork holds Health and Safety as a core business value and is committed to creating a future, free of incidents and injuries. 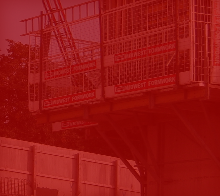 While recognising the importance of discharging the full range of statutory obligations and duties, Midwest Formwork will take appropriate steps to meet, and in many cases enhance these requirements. By so doing, our company is intent on making itself the company of first choice for all contractors. Midwest Formwork has moved away from a "policing culture" to one that develops the experience and capability of individuals, managers and project teams to continually improve their own safety performance. Our last three projects completed have been successful for us as subcontractors, the main contractor and clients. It is imperative that we create a safe place of work, safe system of work and use safe plant / equipment.